Finally, the hard work has paid off. The pre-season scouting, learning every nook and cranny of the area, making sure the bow or rifle shot straight and true, and unparalleled preparation were the keys to success. And most importantly, patience prevailed, waiting for that mature buck, the one that has been popping up on the trail cameras the last couple of years, to walk by and present a clean shot. And you got him! He’s up on the wall now, for everyone to see… that comes into the house or is a friend on Facebook. But this is a worthy buck, worthy for everyone to see, worthy to be a conversation starter, a reminder, and a lesson to other hunters that a lot of hard work and a little bit of luck that it is possible. But how? That’s where John and his one-of-a-kind company Trophystickers.com comes in. 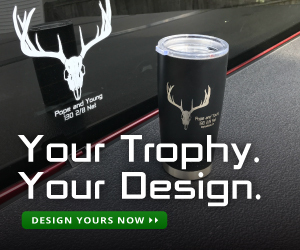 Trophystickers can turn your trophy into a decal to put on your truck, or an engraving on a tumbler to hold your morning coffee, so the world can see how all of that work you put into this past hunting season has paid off. John is a lifelong hunter and angler from the north-east. 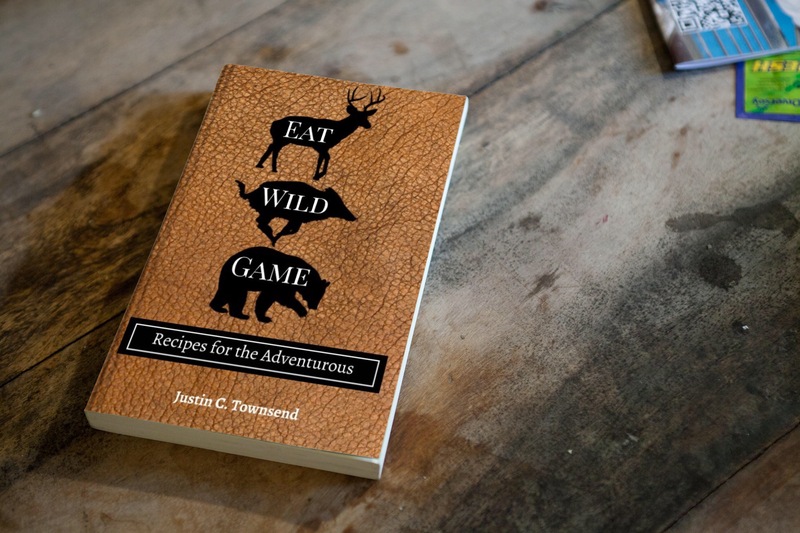 When he isn’t hunting whitetails he is after turkey or fishing for salmon in the Salmon River. He simply enjoys being in the outdoors where he is able to connect with nature. John has worked the last several years to develop and refine a digitization technique that can turn a picture of a buck into a durable vinyl sticker that will last years. He has made the process as simple as possible. The first and most important step is taking the picture of the buck at the right angle, the website explains how to do it. This is to ensure the size and shape of the bucks are captured accurately and the decal will come out looking flawless. 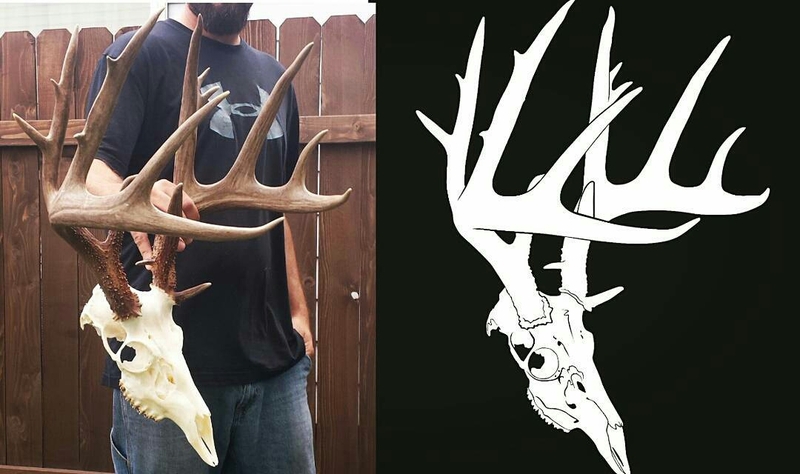 You then upload these pictures to the to the product page, a description of the buck can even be added to the decal. If John feels a small adjustment is needed, so the decal will be exactly as expected, then he will reach out to you for more information. Once all the necessary pictures are received this is when John gets to work. These decals are not being automatically computer generated, each uploaded picture gets hand designed into a decal. John and his team take the time to hand design and create each of the decals to guarantee all details, intricacies, and character of that buck’s antlers are accurately portrayed. This part of the process can take up to several hours in some instances. This is what sets Trophystickers apart from similar products and services. He goes above and beyond anything else that is out there, with an attention to detail that is unmatched. You can also add a couple lines of text, anything from the nickname of the buck, where you got it, to its score. Nowhere else can you find a custom vinyl decal of your buck with as much detail and accuracy as what you can get at Trophystickers. John has even done the current world record buck taken by Stephen Tucker in Gallatin Tennessee, capturing all of the detail that makes that buck so special. Once the design is complete, it is printed on a decal or engraved on the tumbler and shipped out to you so everyone can see your buck. If you want to learn more about Trophystickers, sign up for their email list or follow them on Instagram, where you will find out when new animal designs and other new products are launched. Use Promo Code HARVESTING to get 10% off when you order from www.Trophystickers.com.